Justin Ettelson focuses his practice on corporate and securities transactions, including securities law and compliance, general corporate matters and broker-dealer and investment adviser regulation. As a member of the Securities Transactions and Regulations, Mergers and Acquisitions, and White Collar and Government Litigation practices, Justin writes frequently on matters related to securities law. 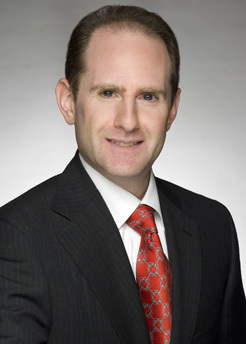 Prior to joining Saul Ewing Arnstein & Lehr, Justin was Supervisor of Examiners in the Philadelphia District Office of the Financial Industry Regulatory Authority (FINRA). In this position, he co-managed District operations and developed and executed the District's broker-dealer examination program, including supervising the conduct of examinations for compliance with federal securities laws and FINRA and Municipal Securities Rulemaking Board (MSRB) rules and regulations. He assisted regional attorneys in the prosecution of enforcement actions and counseled FINRA member firms on regulatory and technology issues. Justin also routinely interacted with other self-regulatory organizations and federal and state securities agencies. Prior to joining FINRA, Justin was a manager in the Examinations Department of the Philadelphia Stock Exchange where he supervised examinations of the Exchange's market makers, floor brokers and specialists. Justin counsels broker-dealers and investment advisers in all aspects of compliance with federal and state registration requirements, the Investment Advisers Act of 1940, and compliance with SEC, FINRA and MSRB rules and regulations. He also advises clients on the design and implementation of compliance programs and systems. Justin represent both buyers and sellers in a variety of industries in merger and asset transactions, strategic acquisitions and stock sales. Justin also has experience in asset-backed securitizations, most recently, drafting and reviewing, on behalf of investors and issuers, structured settlement securitizations.